Lecturing internationally Ni’mah has been a keynote speaker, panelist, and lecturer at various venues ranging from world economic forums, institutes to universities and schools in the East and West. 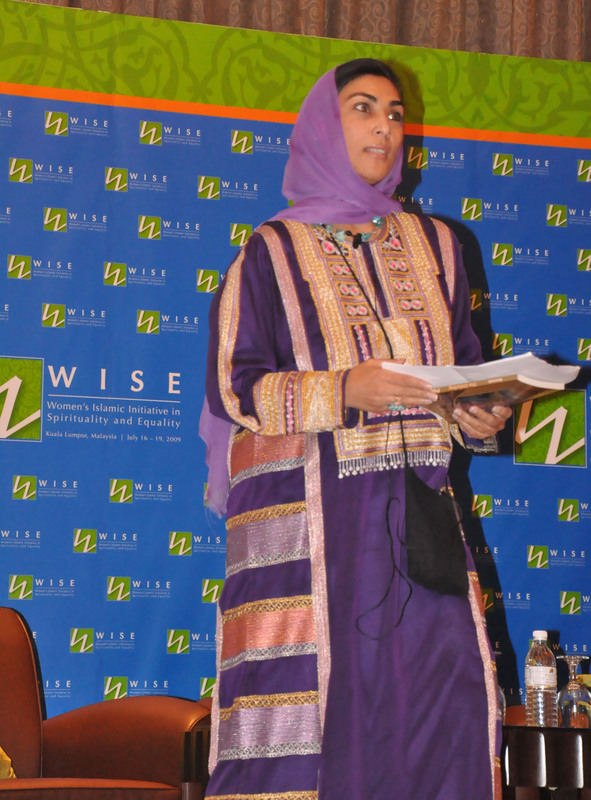 She has presented at the World Economic Forum on the Middle East several times, at the World Expo, Japan 2006 -The UN pavilion, the Smithsonian Anthropology Department, Vital Voices, Washington D.C., The American University, George Mason University, Georgetown University, Baker Hall- Rice University, East-West University-Chicago, The Sufi Order International, Ghalib Academy- India, Institute of South East Asian Studies-Singapore; and the School of Oriental and African Studies (SOAS)-London University, Leeds University, Virginia Commonwealth-Qatar, Museum of Islamic Art-Doha, Modern Museum of Art-Sydney, IAIS -Malaysia among many other institutes. Topics in her highly interactive lectures and workshops is wide ranging from economy and leadership, education reform, the Middle East and women, art and cultural heritage, the role of media, youth empowerment, to Islam and interfaith- as she takes on the requests of various organizations to deliver special content based upon their needs as well as audiences’ ages and interests. -Note a list of her lectures and speeches with venues is provided upon request.